One of the most, if not the most, anticipated Subaru vehicles right now is the 2018 Subaru Crosstrek. Enthusiasts everywhere have been tracking its every move and we can’t say we blame them! Boasting a sleek, yet reminiscent, new design, the Crosstrek will catch your eye like never before. Aside from its fresh and improved look, it still comes with all the things we’ve come to know and love about Subaru. Value, style, performance: there’s really not much more you can ask for in a vehicle! While the Crosstrek was always something special, its recent face lift has given it a whole new look that everyone undoubtedly loves. 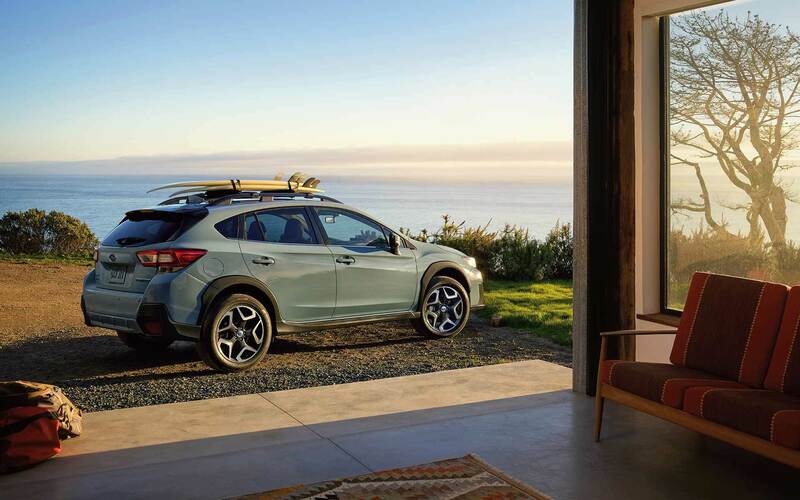 Many enthusiasts say that the new Crosstrek has quite a few resemblances to the first-generation Crosstrek, paying homage to its successful debut. The new design has drastically improved the ride as well, providing a smoother and quieter experience all around. Whether you’re looking for a rugged weekend getaway or enjoying a nice night out, the Crosstrek will meet every standard. You’ll look good doing it too with upgraded high-quality interior materials and stylish contrast stitching. The new design also provides a more spacious interior so you can bring more and sacrifice less. That’s really what it’s all about. Subaru is generally synonymous with safety…and for good reason! It’s obviously no different with the 2018 Crosstrek so you’re guaranteed a safe ride no matter where you’re headed. 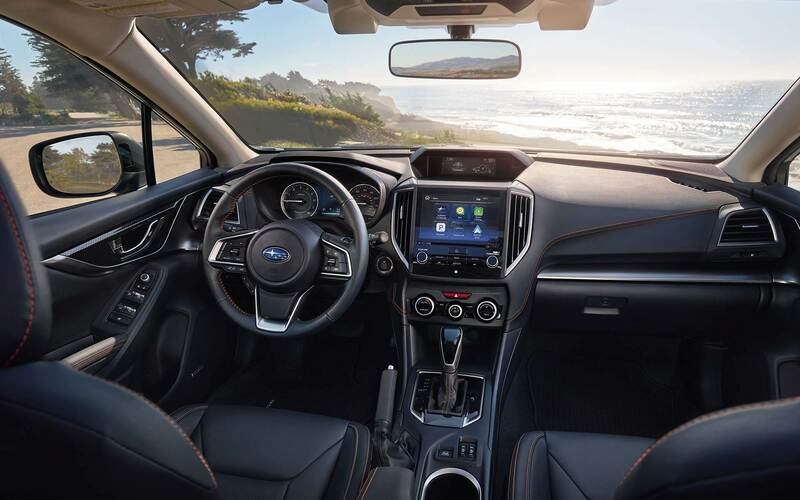 It features Subaru’s EyeSight Driver Assist Technology, which monitors traffic movement and warns you when you’re swaying outside of your lane. Lane Keep Assist is new to the Crosstrek and it will actually help you steer back into your lane should any swaying occur. Also available is Blind Spot Detection and Rear Cross-Traffic Alert. You’ll certainly have all your bases covered. It just keeps on coming with LED Steering Responsive Headlights that actively track in the direction of a turn to enhance visibility. Like all Subaru’s, every Crosstrek features standard Symmetrical All Wheel Drive and excellent fuel efficiency (33 mpg city). With 8.7 inches of ground clearance and Hill Descent Control, your Crosstrek will have you prepared for wherever you’re going. 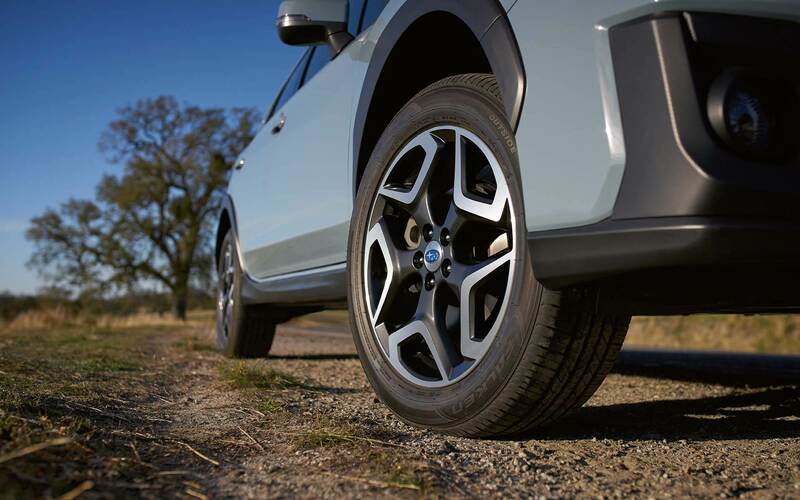 The 2018 Crosstrek, for the first time ever, offers available 18-inch alloy wheels that will have everyone stopping to stare. The 2.0 liter, four cylinder now has direct injection, which was not available on the previous year model. As a result, the horsepower moved up to 152, compared to 148 on the last model. A six-speed manual transmission is available as well – in case you’re looking for that extra rigidity. Whatever it is you’re looking for, the 2018 Subaru Crosstrek has you covered. Keep an eye out for its arrival at Lester Glenn Subaru! You can find us at 1501 Rt 37 W, Toms River, NJ 08755. We’re here to help when you’re ready!